Kobe Bryant’s out to prove that his being ranked No. 40 among NBA players by ESPN was a big mistake. It’s fair to say that so far he’s succeeding. The way Kobe has been performing in the hard court shows no effects of the injuries he suffered the past two years. 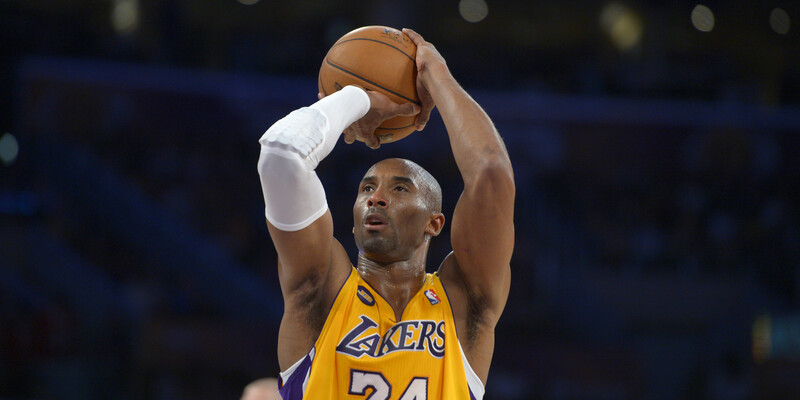 Many predicted that Kobe may no longer be his old self after two successive serious injuries. The first one was a torn Achilles tendon during the 2012-2013 season. Records show that rarely do basketball players who suffer from such an injury recover to play at the same level that they did prior to the injury. And when Kobe tallied just 9 with 8 rebounds, 4 assists and 2 steals during his first game upon his return to active play during the 2013-2014 season, it was believed that his injury affected his game. But he went on to score in the 20’s in his next games raising hopes that the Black Mamba was back. But on his 6th game into the season, the second injury came. He twisted and hyperextended his left knee and was unable to play the rest of the season. With that second injury, several started to write Kobe off saying that it could be the end of the line for the 5-time NBA champion having become injury-prone while advancing in age. But with the way he got past Matt Barnes of the Los Angeles Clippers for a dunk in their game on November 1 and the way he attacked a phalanx of Golden State Warriors defenders on their next game for an improbable reverse layup we could hardly see the ill-effects of those successive injuries he suffered. Neither could we see Father time taking its toll on him. The same old Kobe. Same old fierce competitor in the basketball arena, a top-10 player and not the 40th best NBA player that basketball analysts pegged him to be. He may not have a likeable personality but nobody could question his professionalism in the hard court. Despite the possibility that he may get injured again he is playing the way he knows best…HARD! After four games he has been averaging 24.8 points per game, just a shade below his career average of 25.6. But while Kobe maybe winning his personal battles as a player, his team, the Los Angeles Lakers are losing. They have yet to register a win after four tries. Kobe may be performing well but he definitely could not win games by himself. Basketball’s a team game and he needs a solid supporting cast. Unfortunately, some of their reliable players are on the injury list. Nick Young and Steve Nash are not playing. Then their newest addition, rookie Julius Randle, the one the Lakers hoped to build around in the future, also got injured even before he could complete his first NBA game. Both Steve Nash and Julius Randle are out for the rest of the season. The Lakers are off to one of the worst starts in franchise history and if the team’s front office will not do anything to somehow improve their roster in the ongoing season, especially after the injury to Randle, there’s no reason to expect that they will go past the regular season. As it is, the only players who can make meaningful contributions to help Kobe and the Lakers win games are Jeremy Lin and Jordan Hill. There have been unconfirmed reports that with what happened to Julius Randle the direction the Lakers are taking is towards complete rebuilding. And that includes trading Kobe to the New York Knicks.